bride.ca | Best Wedding Reception Deal in Vancouver? Best Wedding Reception Deal in Vancouver? 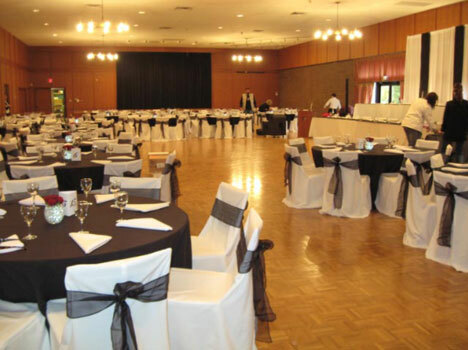 "book everything you need for your wedding reception at one stroke. Half your wedding planning is finished! You can now focus on the fun stuff: your gown, your makeup"..
Vancouver wedding on a budget? Imagine being able to book everything you need for your wedding reception at one stroke. Half your wedding planning is finished! You can now focus on the fun stuff: your gown, your makeup, the photography = everything that makes you look good! Send the invites, register for gifts, relax. Better yet, this package can save you a lot of money. Slow Roasted Grade AAA Baron of Beef, with au Jus and fresh horseradish cream & carved by their chefs for your guests. Baked Glazed Ham, studded with whole cloves & garnished with pineapple, then bathed in a Caribbean glaze, served with Dijon mustard & carved by their chefs for your guests. Seasonal Mixed Vegetables in herbed butter glaze. Penne Pasta Alfredo or Vegetarian Penne Pasta a la Marinara. Basket of rolls & wedges, foccacia, whole wheat & white with whipped butter. Gourmet coffee, assorted black and herbal teas, served with milk, cream, sugar, & lemon wedges. Choice of Chocolate Espresso Decadence Cake or Bavarian Cream with Fresh Fruit Slab style Cake. So a 150 people reception would cost you $9,750, including the hall, catering, most of the decor, the music and your staff. How does that compare with "market prices"? We 'd love to hear your comments..